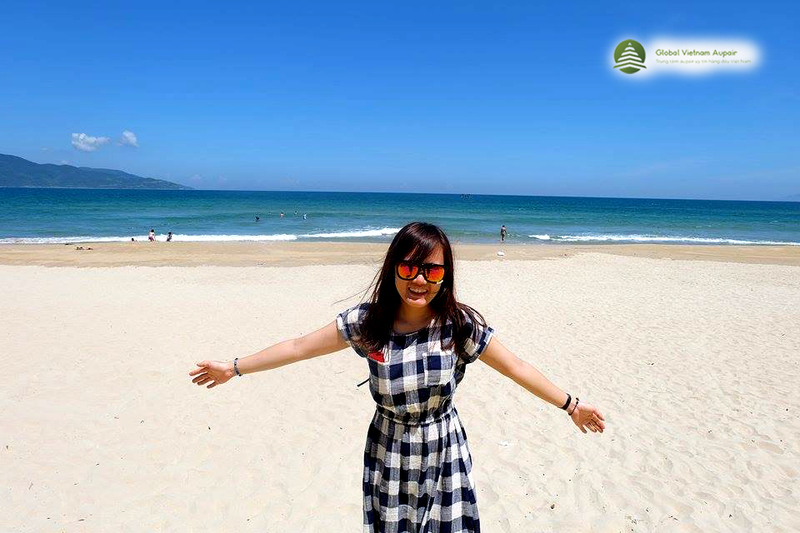 I am Thuy Duong, I’m 25 years old. I worked at a foreign company before completing all the procedures to become a aupair in France. Because I both worked and joined the aupair program so the pressure had a lot, sometimes the stress was so terrible . 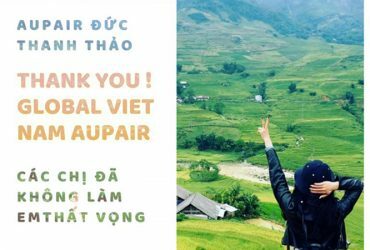 But Ms. Huong, my direct supervisor at Global Vietnam Aupair, was always encouraging me. But she still graciously, patiently explained to me. Remembering when she said “oh, May be you watch too many movies, little girl” that made me laugh out loud. But it made me feel less anxiety. 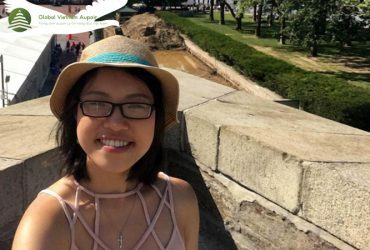 I have known the aupair program a year ago, and also contacted a center in HCM. But at that time I was still confused, so I did not participate at that time. After that, my dream of going to France was still there. I decided to make this dream to be come true. 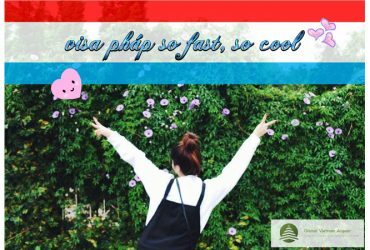 I had found on the interner about many centers but most of them combination the introduction within study abroad and aupair program. So they will not be thoughtful, devotedly with me. 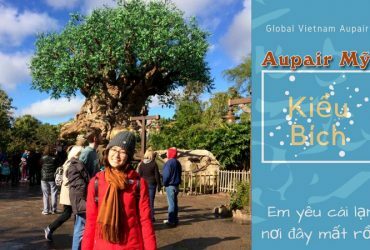 Then I had looked at the website of Global Vietnam Aupair, here all the information were on the web: the cost, the experience and the feedback of the aupair before, I felt more secure. But I’m afraid, I was in HCM, the center was in Hanoi. I contacted with them. People guided me very devotedly.First, she had interviewed my level of French, then giving me the advice, although I had not signed a contract yet. Therefore, some people in HCM city do not let the distance make you hesitate. Althought far from the center, but they willing to spend more time to share than they are close but do not care. As I practiced interview and prepared the visa papers. Even when it was too late, the internet got a trouble, but Ms.Thinh and Ms.Huong still tried their best to help me complete all the best. Ms.Thinh is so busy till late at night but she still trying to help me book the air ticket. I just want to say, thank you Ms.Thinh and Ms.Huong very much.